Sequins, embellishment, embroidery and glitter - anything that sparkles and shines on your jumpers should be your mid-season purchase. At this time of year, I usually spend most of my day scrolling relentlessly through every party dress the high street has to offer. Granted, it is part of my job to find clients the perfect dress, top, skirt or outfit combo for their Christmas social occasions coming up. But from the beginning of the Autumn I feel there has been a shift into the day-to-evening jumper and just about everyone has one to offer. The knits I’ve been coveting in place of dresses are a whole lot more decadent than your run of the mill chunky cable knits. In fact, I’ve christened them "disco jumpers" because they look like they’re made for just that – dancing the night away. In both comfort and style, I might add. And when Gucci starts a trend luckily it gets embraced wholeheartedly by the high street and now, the Gucci pipe dream has been replaced by the entirely more feasible likes of Topshop, Uterqüe and &other stories. 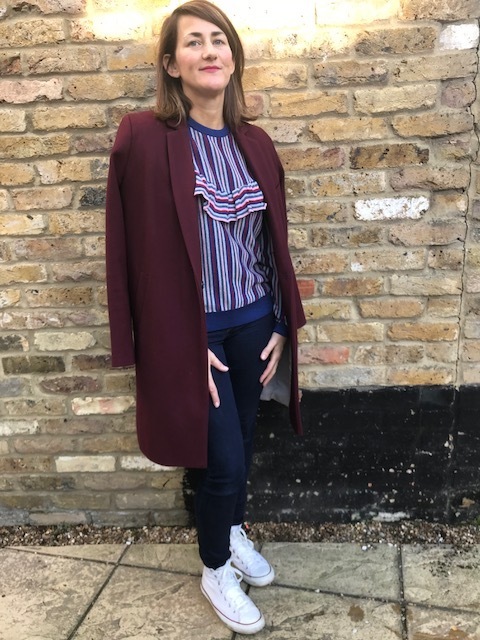 The reason I love these jumpers so much is that you can put them on with jeans or a pleated midi skirt for a jazzy daytime outfit that also works for drinks in the evening. A stylish but also comfortable outfit will be music to your ears! So now your jeans and jumper combo will look anything but basic.